Add the ground beef; season with the remaining spice blend and S&P. Cook, breaking up the meat with a spoon, 4 to 6 minutes, until browned and cooked through. Transfer to a bowl and set aside in a warm spot. Wipe out the pan and reserve. In a large skillet, cook beef over medium heat until no longer pink; drain. Stir in the water, soup and taco seasoning. Bring to a boil. Stir in rice. Cover and remove from the heat. Let stand for 5 minutes or until rice is tender. You can easily substitute ground beef cooked with your favorite taco seasonings. I like the more subtle flavor of scallions over the sharp crunch of raw onion, but either would work well. I like the more subtle flavor of scallions over the sharp crunch of raw onion, but either would work well. ground beef, Pinto beans, chili powder, ground cumin, cayenne pepper, onion, chopped, salt and pepper, vegetable oil missjenngomez Beef chilli beans nachos w sour cream bomb AF! Add ground beef and cook, breaking up meat with wooden spoon, until no longer pink, about 5 minutes. Stir in chili powder, garlic, oregano, cumin, coriander, cayenne, and salt and cook until fragrant, about 1 minute. 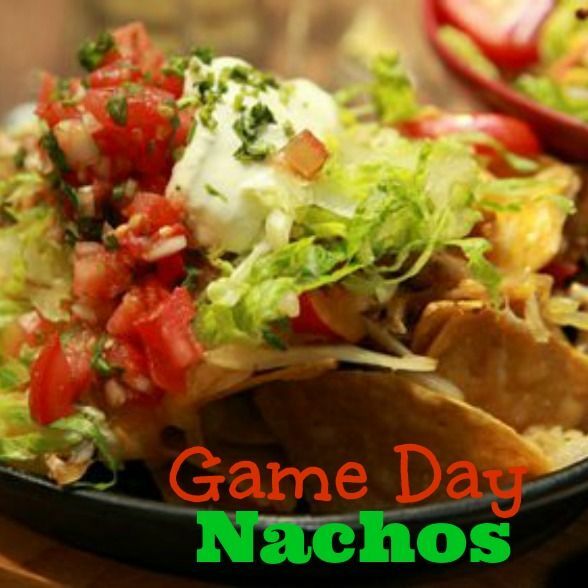 October 21st is International Nacho Day, and no wonder…What’s not to love about Nachos? Most every family, and from young to old, enjoy s a nice, hot platter of nachos.